For those who have limited time, I most sincerely recommend The Nourished Kitchen: Farm-to-Table recipes for the Traditional Foods Lifestyle. I envision that I will buy it as a gift often via our Amazon affiliation, and will refer to it regularly myself. On a personal note, I am sincerely delighted and honored to write a review for Jenny McGruther’s new book. Jenny is a friend whom I have enjoyed hosting in San Francisco and visiting in Crested Butte, Colorado where she lives with her husband and son. She is a consistently supportive community member. This book is most definitely a valuable addition to my library of traditional foods books, which includes Nourishing Traditions, Full Moon Feast and Wild Fermentation. I was touched to see Nourishing Our Children listed as a real food advocacy group on page 303. While my personal connection to the author has left me with a sense of pride, and tears in my eyes when I opened the package containing her book, it isn’t the basis of my recommendation. If I didn’t know Jenny, I would still highly recommend this book. 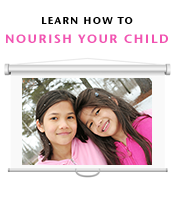 The Nourished Kitchen is much more than a book of over 160 recipes. It offers a fair amount of information about the foundational elements of traditional food preparation. The chapters are categorized by where the food comes from: the garden, the pasture, the range, the waters, the fields, the wild, the orchard and the larder. Jenny explains that the philosophy behind the Nourished Kitchen is a focus on that which is sustainable, balanced, unprocessed, traditionally prepared and involved. I think the book is very well-organized. Beyond the recipes, there are passages in every chapter that share relevant anecdotes from Jenny’s own experiences, as well as explanations and recommendations about eggs, raw milk, working with sourdough, finding good olive oil and the like. The book is replete with a chart that lists grains, whether or not they contain gluten, what their flavor is, what nutrients they contain and how to prepare them. There is a similar chart on beans and lentils. I anticipate that Jenny’s glossary of terms and resources will be helpful to many. I see this book as an educational resource – it covers the why as well as the how. I very much appreciate that Jenny lists exact measurements – 3 tablespoons, 6 ounces, rather than “small, medium and large” … a request I would like to make of all recipe authors. See one of her recipes that I published with permission: Roasted beet and walnut salad with kombucha vinaigrette. You’ll learn how to prepare organ meats, yogurt, sourdough bread, broth, and what to do with salmon roe, rabbit and bone marrow in what I would describe as unique and delicious ways. I anticipate that whether you are new to these dietary principles or have been following them for 10 years, like I have, this book will teach you something new. As someone who works as a professional photographer, I found Jenny’s photos to be beautifully captured. Up until now I have offered Nourishing Traditions as a gift to anyone I think may have an interest. I now have another book that I think will serve to introduce the dietary principles that are at the heart of Nourishing Our Children’s mission. Bravo, Jenny. I think you’ve written about and photographed traditional foods in a way that is most appetizing and nourishing … and I believe that it will invariably become a first step for those new to these concepts. I think your book will change lives and expand others, including my own. Do you consider yours to be a Nourished Kitchen? Sandrine, will you be posting your lovely review on Amazon? Hope so! Beth, I will most definitely post it as soon as the book is released and Amazon allows reviews! This cookbook looks beautiful! I am very much looking forward to reading my own copy in the future! I especially appreciate beautiful photographs and simple instructions that make something come to life. If I were just starting out with real food, this would be very appealing and encouraging to me. It will definitely be something I will consider for gift options as well. Sandrine, I’m ordering this cookbook, but could you please contact me about ordering a copy of “Nourishing Our Children<" and distributorship option? I am a WAPF chapter leader for Spokane and we are looking to finally have a gathering this Spring to show it. I tried filling out your required info and it blipped out completely..not sure if it was my computer or your site. You may call me if that is easier. 509/624-1680. I also left a phone message a few days ago. Thank you for your support and interest. Katie Louderback handles all of our educational materials distribution. I have asked her to reach out to you.